September 1947. 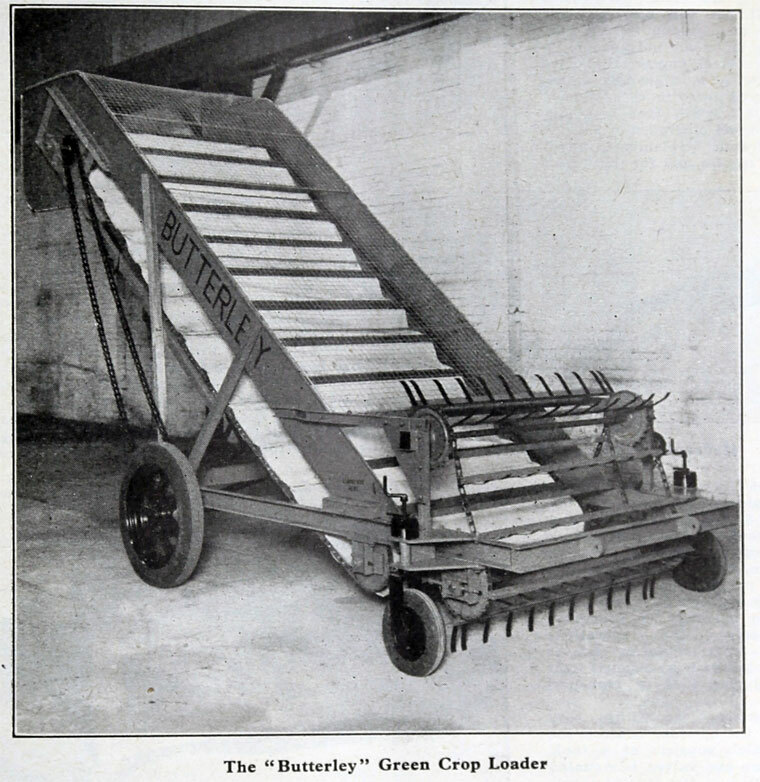 Butterley Green Crop Loader. 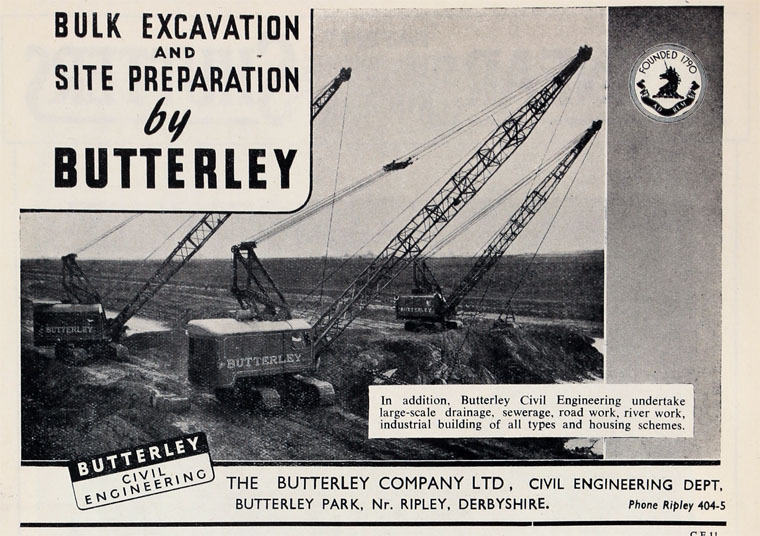 The Butterley Company, coal owners and ironmasters, of Ripley, and of Butterley Iron Works, near Alfreton, Derbyshire. 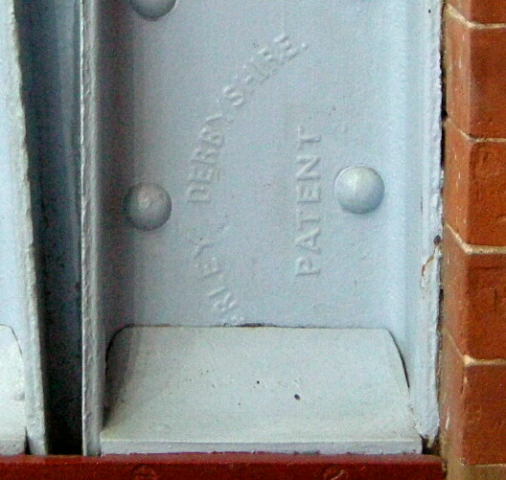 (1853); Civil Engineering Dept, Butterley Park, Nr. Ripley, Derbyshire. 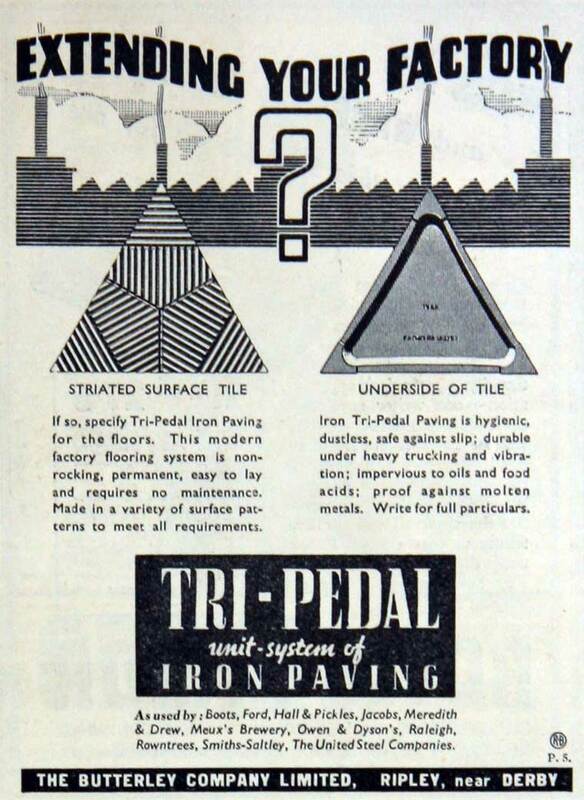 (1949). 1790 William Jessop, with the assistance of Benjamin Outram, began construction of the Cromford Canal to connect Pinxton and Cromford with the Erewash Canal. In the process of digging the Butterley Tunnel for the Cromford Canal, quantities of coal and iron were discovered. Fortuitously, Butterley Hall fell vacant and, in 1790, Outram, with the financial assistance of Francis Beresford, bought it and its estate. 1792 they were joined by Jessop, and John Wright, the grandson of Ichabod Wright, a wealthy Nottingham banker who was betrothed to Beresford's daughter and who owned the Butterley Park estate. Together they founded Benjamin Outram and Co.
By 1796, the blast furnace was producing nearly a thousand tons of pig iron a year. 1805 Benjamin Outram died; one of Jessop's sons, also William, took over. The company finally paid a dividend, having paid off its debts. 1807 After the deaths of Beresford and Outram, the company was carried on by John Wright, Margaret Outram and William Jessop and was renamed Butterley Co.
1808 William Brunton, who had worked with Boulton and Watt since 1796, became the engineer. Supplied iron work including rails and wheels for the building of the Caledonian Canal. 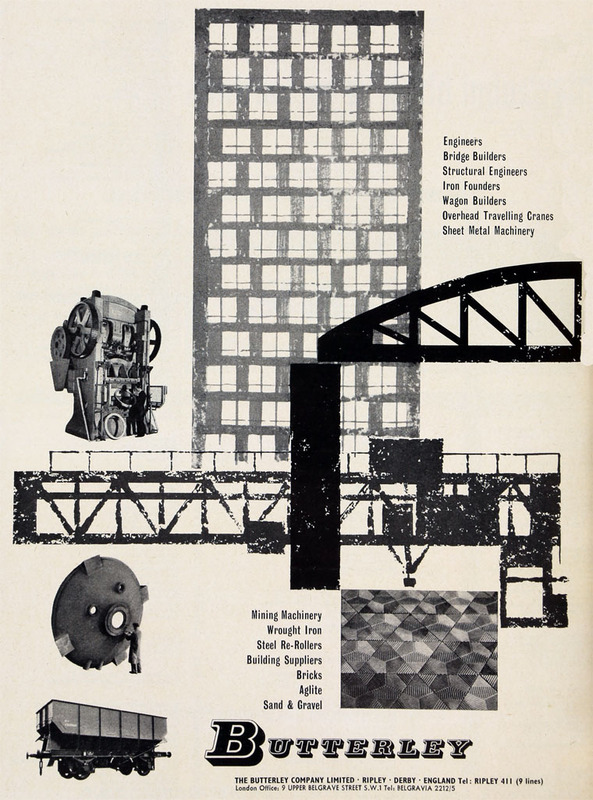 By the second decade of the century the company had expanded with another works at Codnor Park, both works then having two blast furnaces, and output had risen to around 4,500 tons per year. They also owned Hilt's Quarry at Crich which supplied limestone for the ironworks, with lime kilns at Bullbridge for supplying farmers and for the increasing amount of building work. The steep wagonway to the Cromford Canal at Bullbridge was called the Butterley Gang Road. In 1812, William Brunton, an engineer for the company, produced his remarkable Steam Horse locomotive. 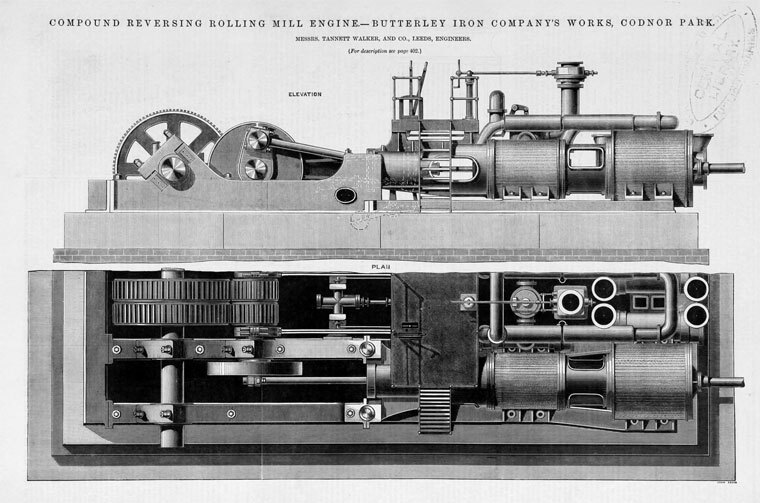 1813 William Brunton patented a walking locomotive. 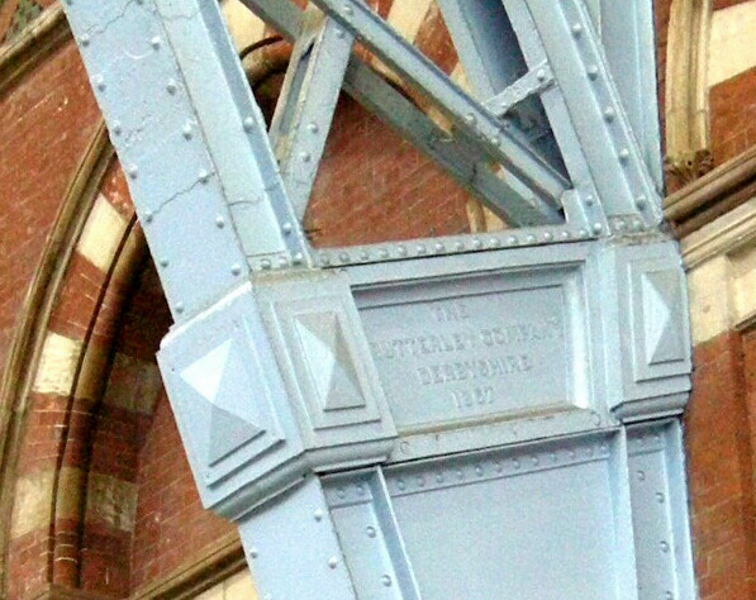 1814 the company produced the iron work for the Vauxhall Bridge over the River Thames. 1817 in the depression following the Napoleonic Wars, the works at Butterley was the scene of the Pentrich Revolution. 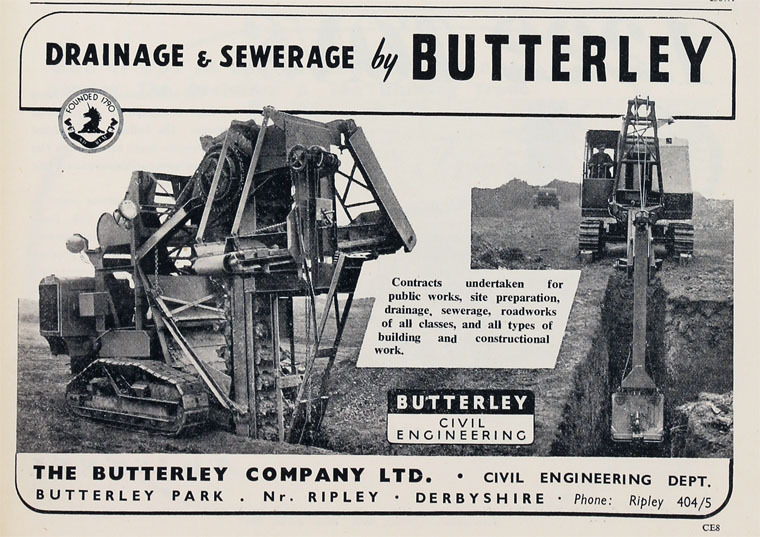 Following this, however, the country entered a long period of prosperity, the Butterley Company with it. 1830 it was considered to be the largest coal owner and the second largest iron producer, in the East Midlands. By this time the company owned a considerable number of quarries for limestone and mines for coal and iron, and installed a third blast furnace at Codnor Park. 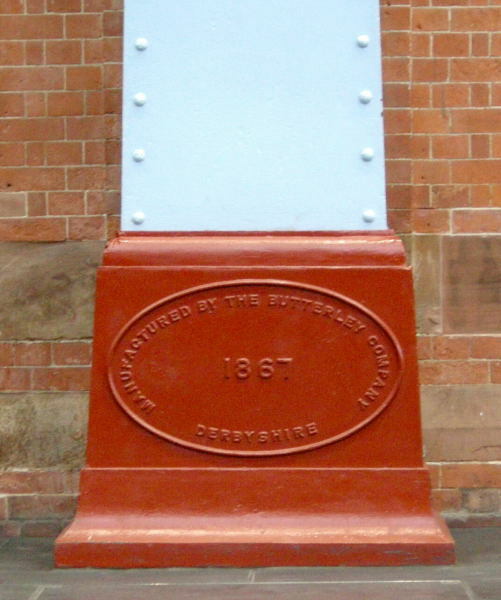 1838 They produced two locomotives for the Midland Counties Railway. In the early days of the steam ship they worked with Boulton and Watt to supply most of the naval contracts. They produced a vast array of goods, from rails for wagonways to heaters for tea urns. Thomas Telford's Caledonian Canal used lock gates and machinery with castings produced at Butterley, as well as two steam dredgers designed by Jessop. The company also produced steam locomotives, mostly for its own use, but it provided two for the Midland Counties Railway. They produced all the necessary castings for the new railways and two complete lines, the Croydon, Merstham and Godstone Iron Railway and the Cromford and High Peak Railway. A winding engine for the latter still exists in working order at Middleton Top Engine House near Wirksworth. 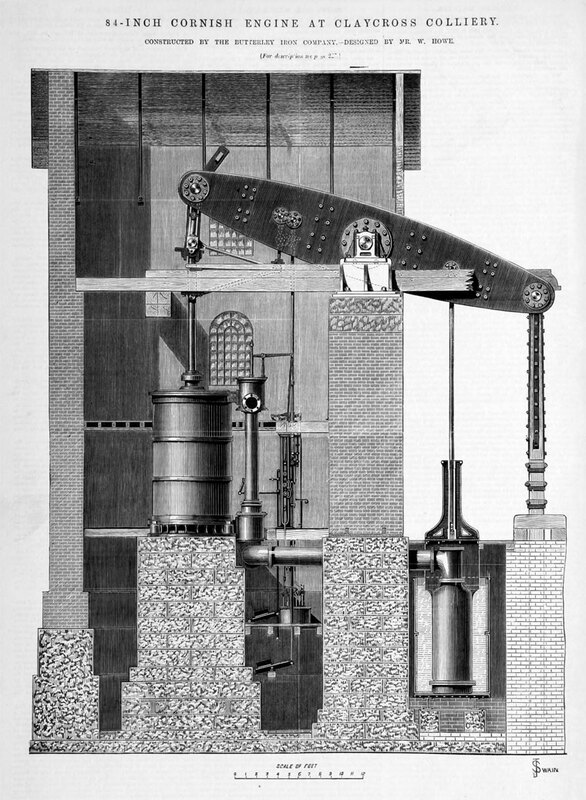 1851 Supplied a winding engine to Cinderhill Colliery. 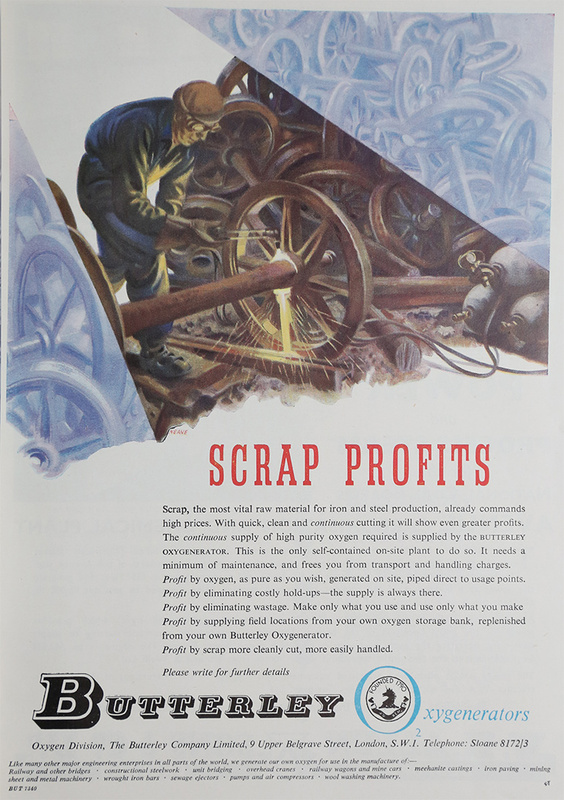 By 1863 the company was rolling the largest masses of iron of any foundry in the country. Among its most famous buildings are the Barlow Train Shed at St Pancras station in London. There was also an extensive brickworks not only for the railways, but for thousands of factories and domestic dwellings. By 1874 its workers were starting to fight for better conditions. It sacked eleven miners "without a charge" on May 5 1874. During 1874, in response to an Admiralty questionnaire, they reported they had installed a Siemens Gas Furnace to make steel to replace the wrought iron used in boilers. 1907 From 1860 to 1907 they produced 27 locomotives originally for their own use. 1954 Order from Stewarts and Lloyds for a large tonnage oxygen plant for the Corby steel works; the plant would be built using Air Products of the USA technology for which Butterley held the licence. Problems in the civil engineering department, which had developed housing for sale, were being resolved. 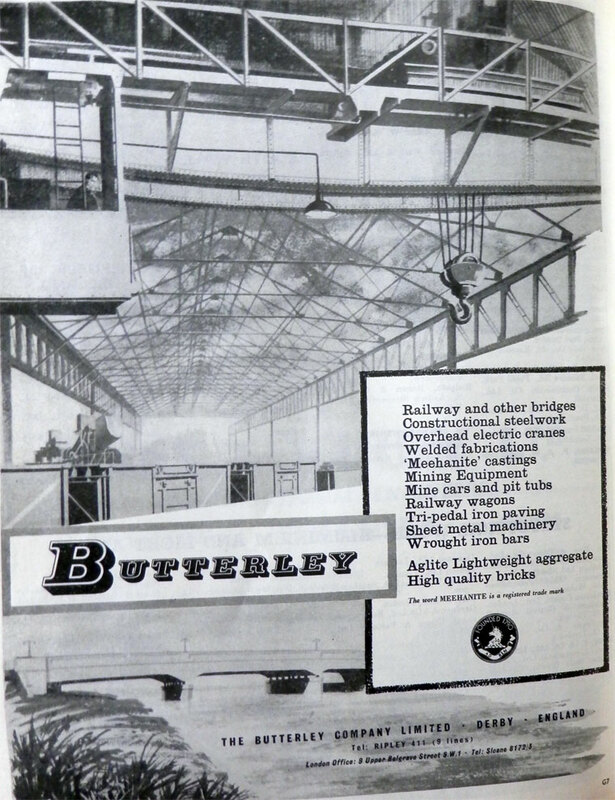 Subsidiary Butterley and Blaby Brick Co had invested in plant to make Aglite at Salterwood and pre-stressed concrete beams at Mugginton; T. Darnell and Hughes and Lancaster had invested in new machine tools. A new brick factory was operating at Kirton. 1965 The Codnor Park works closed. This page was last edited on 7 December 2018, at 10:25.